MORE than a decade after its release, you'd think The Devil Wears Prada would hardly be throwing up any more surprise twists. 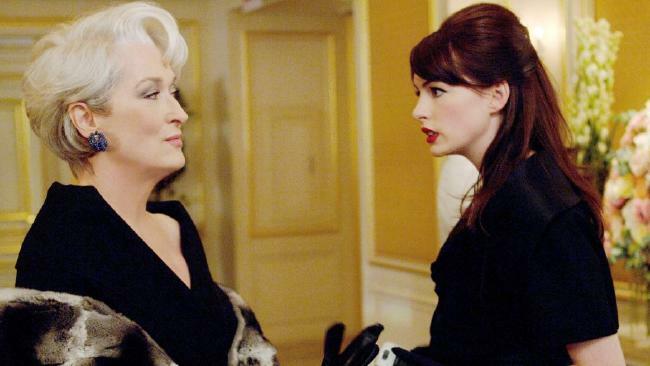 But thanks to an eagle-eyed fan, a deleted scene from the 2006 comedy-drama is now circulating online, and - not to overstate it - but it kind of changes everything we knew about Miranda Priestly. In a post that's since been retweeted more than a thousand times, Buzzfeed's Spencer Althouse shared a short clip that never made it into the movie, which shows Meryl Streep's character dropping her ice queen persona during a big fancy party also attended by Andy Sachs (Anne Hathaway) and Emily Charlton (Emily Blunt). Miranda is rubbing shoulders with the most important guests at the function when her husband stumbles, clearly drunk and very loud and obnoxious. Andy quickly steps in to change the subject and avert disaster, while Miranda steers her husband away, glancing back over her shoulder to mouth 'thank you' at her overworked assistant. Miranda Priestly does not show gratitude! Had this scene been left in, it would have provided a major disruption to her character development as a stone-cold b***h.
Toward the end of the movie, we finally see our first glimpse of vulnerability when Andy sees her crying after her husband announces he's leaving her - and that's all we need. Thank God the producers saw sense and the correct narrative was restored.